The only silver lining was commercial vehicles which showed growth. The downtrend in automobile sector was due to high interest cost and financing constraints which dented demand, auto analysts said. 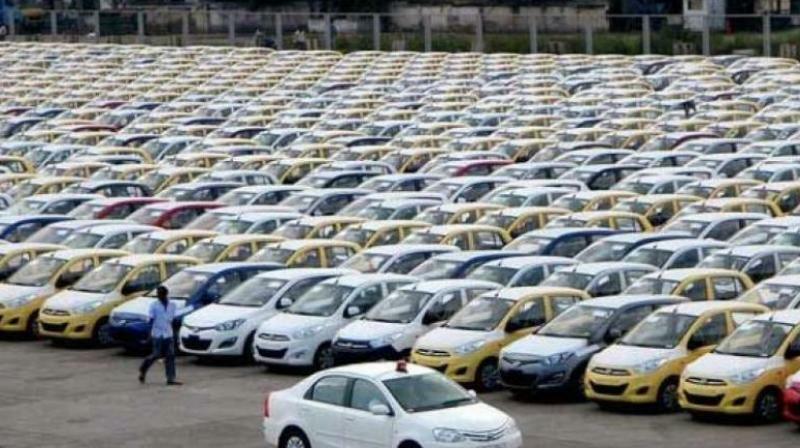 Pune: The automobile industry in India, the world’s fourth largest, is bracing for a slowdown with sales of cars, two and three wheeler decelerating in January. The only silver lining was commercial vehicles which showed growth. Last month, sales of passenger vehicles including cars, utility vehicles and vans declined two per cent to 2,80,125 units and car sales alone also dropped three per cent to 1,79,389 units, the latest society of Indian automobile manufacturers or Siam, the top lobby body showed on Friday. However, sales of commercial vehicles merely rose 2.21 per cent to 87,591 units in January, Siam said. Medium and heavy commercial vehicles witnessed marginal growth of 0.74 per cent at 34,456 units compared to 34,204 units in the year-ago month. But domestic sales of light commercial vehicles rose by 3.19 per cent at 53,135 units in January 2019. The commercial vehicle sector has also felt the pressure of a poor market sentiment, the revised axle load norms which have eaten into new purchases of heavy-duty trucks and stagnant demand. Officials at Mahindra & Mahindra said the de-growth in the medium and heavy commercial vehicle industry in the country was primarily due to the implementation of new axle loading norms, which created surplus capacity in the short term, resulting in reduction or temporary suspension of fleet purchase plans by transporters. Sridhar V, auto analysts and partner, Grant Thornton India, said the overall performance has dipped on a year-on-year basis which indicates the struggle the sector is going through on account of the negative factors like financing availability, pricing and cost of finance. “These conditions have shown some improvement which has resulted in the month on month trend showing a significant positive trend (high double digit growth), which indicates improvement in sentiments whose impact could be seen in the months to follow,” he pointed out.